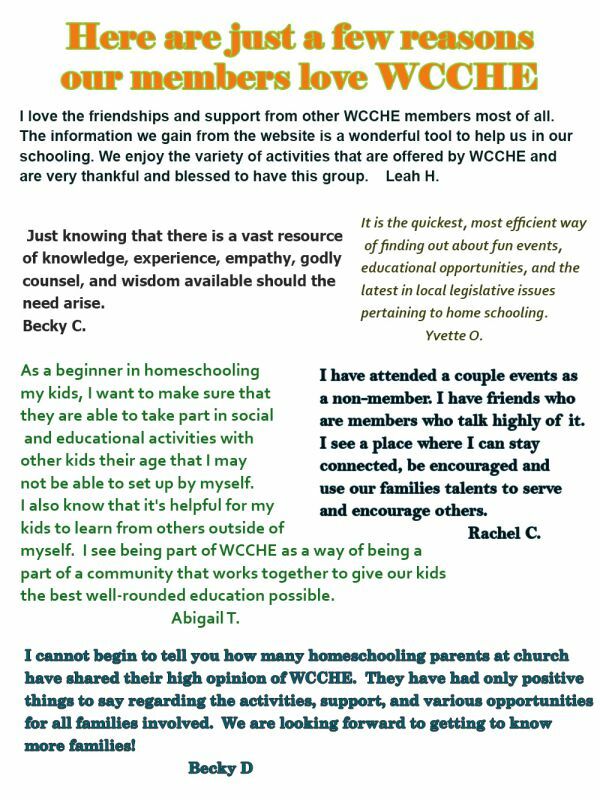 We are an active group of home school families supporting one another in St. Louis County, MO and nearby. Welcome to WCCHE's public homepage. We offer several resources to the public, including record-keeping samples and a directory of homeschool groups in Missouri. For more information on Missouri Homeschool laws check out our public resources from the menu above. We also have a public calendar that shows events open to all or for members only without details. Feel free to explore our site. WCCHE membership is only $25 per year and gives you access to our complete, interactive website (including member forums) as well as details & invitations for all WCCHE sponsored events. See some of our annual events! Click to sign up and for more details. 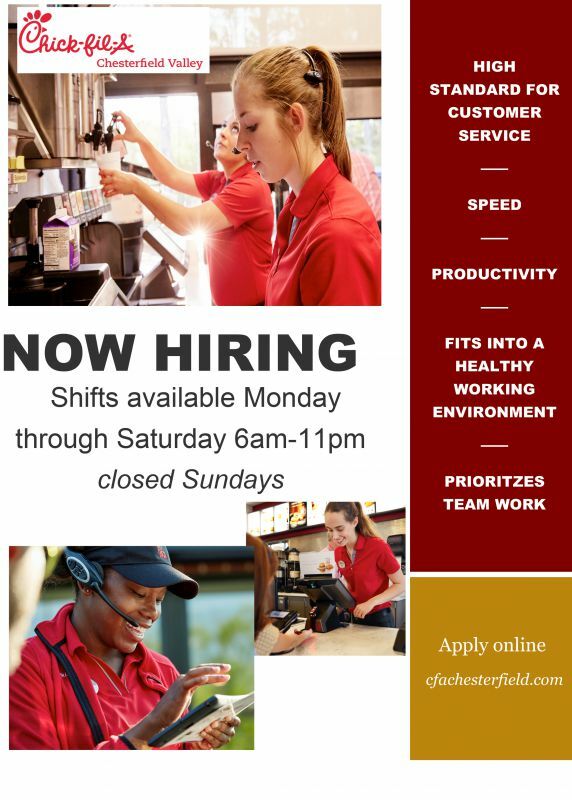 Job opening - Chick-fil-A Chesterfield Valley! 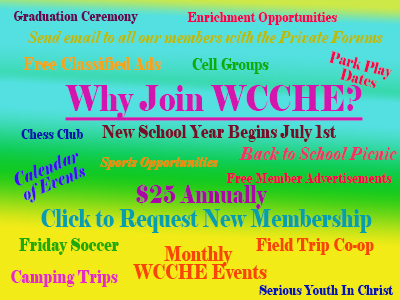 Find out about all the activites, classes, forums and events that a WCCHE membership has to offer you. Click here to begin our registration process. You will be notified when your registration has been accepted. Want to find out more about advertising with WCCHE? Click here for details.